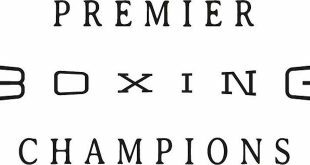 Sky Sports has secured the rights to show Amir Khan’s pivotal fight with Devon Alexander exclusively live from the MGM Grand in December. Khan tops the bill in Las Vegas as he goes head-to-head with Alexander on Saturday 13 December, live on Sky Sports 1, with the winner set to throw their name into the sweepstakes to face WBA Super and WBC welterweight champion Floyd Mayweather Junior. 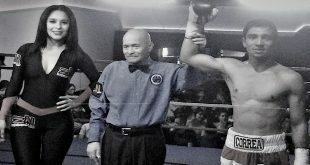 Khan’s first fight at 147 pounds came in May when he overcame Luis Collazo on points, and the Bolton fighter returns to Las Vegas again to face the former two-weight world champion from St. Louis. 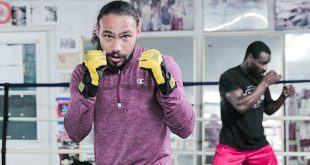 As part of a huge night of boxing from the US, Sky Sports will also show the mouthwatering fights from the undercard, including Keith Thurman against Leonard Bundu, Abner Mares taking on Jose Ramirez, and Jermall Charlo against Italian Lenny Bottai. Khan said: “It’s great to be back on Sky Sports once again for what is one of the biggest fights of my career so far against Devon Alexander. I have had a great training camp and have no doubts it’s going to be a very special night for me on December 13th, headlining at the MGM Grand in Las Vegas. 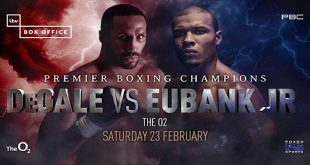 Adam Smith, Executive Producer of Sky Sports Boxing, said: “This is a great fight, and fabulous night of action from Las Vegas. Boxing fans are in for a momentous week with all the build up and live action on Sky Sports. The fight from Las Vegas is yet another outstanding contest in a year of great boxing on Sky. 2014 has seen Froch v Groves II from Wembley Stadium, the return of Cleverly v Bellew and Kell Brook overcoming Shawn Porter in Los Angeles.